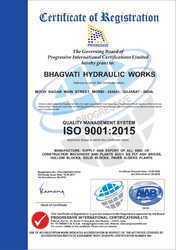 We, "Bhagavati Hydraulic", started in operation in the year 1996, are one of the topmost manufacturers and exporters of a wide range of optimum quality Fly Ash Bricks & Fully Automatic Block Making Plant. The product range offered by us consists of Fly Ash Bricks Making Plant, Fully Automatic Block Making Plant and Hydraulic Paver Block Making Machine. For the precise engineering of the industrial machines as per the set industry norms, our technicians make use of latest tools. 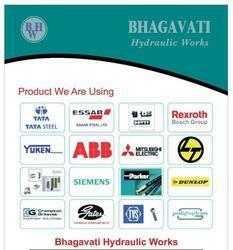 Additionally, offered a range of industrial machines is available with us in user-defined requirements. For the ease of our patrons, we offer them with multiple modes of payment such as cash, online and credit card. We have been able to meet the bulk orders within the assured time frame at the patrons’ end. Appreciated and well-known across the world for its rich attributes such as enhanced serving life, minimum maintenance, low power consumption, optimum performance and seamless finish, the range of the offered industrial Machines is easy to operate. In addition to this, quality is our utmost priority, is maintained at all times. Our mentor, "Mr. Manish Kanzaria (Managing Director)", has helped us in attaining a remarkable position in this domain. All over the countries where we selling our product range, owing to the excellent management skills of our mentor. Driven by an intense desire to attain maximum customer satisfaction, our mentor has implemented transparency in all the business dealings. We are backed by a strong infrastructure which enables us to perform all the business operations in a well-organized manner. The firm has equipped the infrastructure with all the high-tech machines and equipment to offer the best quality products. These machines are operated by our skilled and qualified team members. Our team of expertise pays full attention while operating these machines which enable us to offer a superior range of products. Constant inspection of all the units is required to ensure that all the business operations are performed in a well orderly manner. 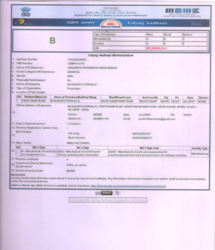 To ensure premium quality of the offered Industrial Machines, we have conducted various quality assurance procedures. These quality assurance procedures start from procurement of the raw materials from the vendors. For ensuring a zero defect Industrial Machines, we have set up a huge in-house quality testing unit. By providing our clients with unmatched quality Industrial Machines, we believe in making commendable position in this domain. Our efficient and hard working workforce is driving force behind our will to achieve a commendable position in this domain. Apart from that, our workers hold expertise in their area of operations. 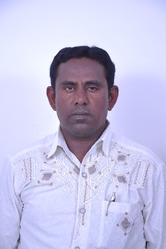 Under the supervision of Mr. Harshad Kanzaria, our mentor, we train our workforce at standard intervals of time. This training by experts enhances the professional and technical skills in the most efficient manner. Moreover, they are selected by our mentor, Mr. Harshad Kanzaria, after conducting rigorous procedures to analyze their skills, knowledge, and experience. 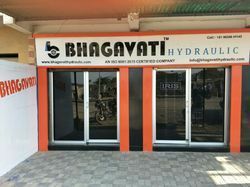 The customer centric approach, prompt delivery and ability to meet the bulk orders at Bhagavati Hydraulic Works, have helped us in catering to the precise needs of our esteemed patrons. By providing them with high-quality Fly Ash Bricks Making Plant, Fully Automatic Block Making Plant and Hydraulic Paver Block Making Machine within the assured time frame, we aim to attain optimum customer satisfaction. We have established a vast distribution network for delivering the offered Industrial Machines at the clients’ end within the assured time frame. The transparent transaction policies have helped us in winning the trust of our esteemed clients.